Bon Secours Wellness Arena celebrates the grand opening of our new Sensory Suite with a ribbon cutting ceremony beginning at 10am. This new space is specifically designed to meet the unique sensory needs of guests that may have difficulty processing the sights and sounds of a typical arena show. Bon Secours Wellness Arena already offers Friendly Access Sensory Safety Kits to guests at all events. Each kit includes an assortment of useful tools to help guests enjoy an event with greater comfort. Additionally, the Arena holds multiple “Skate Roll and Stroll” sessions where families with children with disabilities are invited to explore the ice in their wheelchairs or walkers, walk on the ice, or be pulled around the ice in a sled or wagon. Heather is just one of several community partners that assisted with the design process for the Sensory Suite. Representatives from The Meyer Center, Project Hope Academy, the Center for Developmental Services and several parents of special needs children worked closely with the Arena and architects McMillan Pazdan Smith to provide key insights on the room’s design for families. BIRMINGHAM, Ala. – The Southeastern Conference Women’s Basketball Tournament will be played in Greenville, S.C. for the next three years, Commissioner Greg Sankey announced today. Greenville previously hosted the SEC Women’s Basketball Tournament in 2005 and 2017 and has now been awarded the tournament for 2019, 2020 and 2021. The SEC Women’s Basketball Tournament was previously announced for Nashville in 2018, 2022 and 2026. In the women’s tournament’s history, 14 cities have hosted; Albany, Ga. (1987-1992); Athens, Ga. (1984, 1986); Baton Rouge, La. (1981); Chattanooga, Tenn. (1993-1997, 1999-2000); Columbus, Ga. (1998); Duluth, Ga. (2007, 2010, 2013, 2014); Greenville, S.C. (2005, 2017, 2019, 2020, 2021); Jacksonville, Fla. (2016); Knoxville, Tenn. (1980, 1983); Lexington, Ky. (1982); Oxford, Miss. (1985); Memphis, Tenn. (2001); Nashville, Tenn. (2002, 2004, 2008, 2011, 2012, 2018, 2022, 2026); and North Little Rock, Ark. (2003, 2006, 2009, 2015). The Greenville Arena District, political subdivision of the State of South Carolina, which owns and operates the Bon Secours Wellness Arena, has started the new fiscal year with three new board members: Michael Allen, Neetu Patel and Jimmy Pittman. “The Greenville Arena District is excited to gain Michael, Neetu and Jimmy as its newest board members. The value they will bring to the board with their extensive knowledge in the architectural enhancements, service industry and procurement process will help further our board for years to come” says Dante Russo, Board Chairman of the Greenville Arena District. Michael Allen is a Registered Architect with McMillan Pazdan Smith Architecture, with over 17 years of experience. He studied Architecture Design at Clemson University, where he was also a 4-year Football Letter winner. After his college football career, Michael played semi-professional football which included the former Greenville Rhinos. Michael’s primary role with McMillan Pazdan Smith is designing Sports Facilities and operating as a new business development manager across the Southeast. Neetu Patel is the Vice President of Operations for Sycamore Investment Group where he leads the operations teams for the Home2 Suites Greenville Downtown and the Holiday Inn Express & Suites. Mr. Patel was born and raised in Greenville and is a graduate of The University of South Carolina with degrees in Finance and HR Management. Prior to joining Sycamore Investment Group, Mr. Patel was the Sr. Operations Officer for the Office of the Executive Vice President for the American Red Cross in Washington D.C. Since returning to Greenville, Mr. Patel is actively involved in the Greenville community and currently serves on several boards, including the American Red Cross – Greenville Chapter, VisitGreenvilleSC, Euphoria, and the City of Greenville Accommodations Tax Committee. Jimmy Pittman is a native of Greenville, South Carolina and is a graduate of Clemson University. He was employed by Daniel Construction for over 27 years. Mr. Pittman currently owns Maintainit, Ltd., a facility management and maintenance services company. The company is based in Greenville and has operations throughout the upstate. He has previously served on the Board of Directors of Regent Bank of South Carolina, the Board of Directors of Woodruff Corporate Center, and the Board of Visitors at Clemson University. The Bon Secours Wellness Arena in Greenville, S.C. is pleased to announce that it has been selected as the winner in the Landfill Minimization category of the NCAA’s 2017 Division I Men’s Basketball Preliminary Round Sustainability Competition. With this award, the NCAA recognizes Bon Secours Wellness Arena for its sustainable practices during the NCAA Tournament held at the Arena in March. The Division I Men’s Basketball Preliminary Round Sustainability Competition consists of five categories: waste minimization, landfill minimization, recycling per capita, and landfill diversion rate. As a winner in the Landfill Minimization category, the Bon Secours Wellness Arena was awarded a $500 stipend to help fund a sustainable community activity. As a member of the Greenville community, the Arena prides itself in helping to create a better and more sustainable place for all to enjoy. Greenville, SC —The NCAA has awarded seven cities Division I Women’s Basketball Championship hosting duties for regional play in 2019 and 2020, with five of the seven arenas hosting the championship for the first time. Selected to host regionals in 2019 are Albany, New York (Times Union Center), Chicago, Illinois (Wintrust Arena), Greensboro, North Carolina (Greensboro Coliseum) and Portland, Oregon (Moda Center), with play taking place March 29-April 1. Albany, which will also serve as a regional host site in 2018, will be hosting for the third time, while Greensboro will be hosting its fifth regional. Wintrust Arena, as well as the Moda Center will be hosting the NCAA Division Women’s Basketball Championship games for the first time. In 2020, Fort Wayne, Indiana (Allen County War Memorial Coliseum), Greenville, South Carolina (Bon Secours Wellness Arena), Portland (Moda Center) and Dallas, Texas (Moody Coliseum) will serve as the four regional sites, March 27-30. Bon Secours Wellness Arena, Allen County War Memorial Coliseum and Moody Coliseum will be first time hosts. Portland and the Moda Center will be hosting for a second straight year. This is the second time for this specific NCAA championship bid process, which created the largest host site announcement ever, spanning 84 championships across as much as a four-year cycle. Previously, selection announcements varied by sport. The process now gives the NCAA and host sites more time to plan the championship experience. Bidding for 84 of the 90 NCAA championships began in July and more than 3,000 bid applications were ultimately submitted. Each sport committee, per division, selected the host sites it believed would provide the ultimate experience for the respective student-athletes, resulting in more than 500 total championship event sites being awarded. More than 54,000 student-athletes compete in NCAA championships each year. The six championships not included in the process due to preexisting site arrangements are: Division I baseball, Division I football, Division I softball, Division I Men’s and Women’s Outdoor Track and Field and Division III women’s ice hockey. The Furman University Entrance, which is located on the side of the arena facing North Church Street, was installed this week. Furman signage and flags are displayed on the exterior of the arena entrance, and the concourse area inside the arena also features university images and messaging supporting its strategic vision, The Furman Advantage. The partnership offers Furman a number of other branding opportunities, including digital displays on the Arena’s scoreboard and 360 ribbon board, as well as the use of the facility for certain university events. 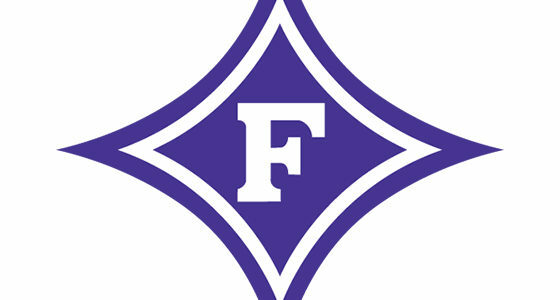 Furman President Elizabeth Davis said one of the university’s goals is to increase its visibility in, and connection to, the Greenville community, and the new partnership with Bon Secours Wellness Arena is an ideal opportunity to do both. be the site of daily weigh-in ceremonies. rivers along the South Carolina/Georgia border. completed just in time for the 2015 Classic and was built to accommodate that and similarly large bass tournaments. square-foot TD Convention Center in Greenville March 16-18.
take place almost a month later in 2018 than during 2015.
being performed by South Carolina angler Casey Ashley — and competition was delayed with the anglers’ safety in mind. Wellness Center Arena, and Ashley needed an average of more than 16.6 pounds per day to win. Texas, should also be warmer. will continue to focus attention on Lake Hartwell, Anderson, Greenville and other Upcountry destinations.